RPE Duo is a live act that explores interaction between trumpet and live electronics. Electronic grooves combine hip-hop with techno/dub in an experimental manner. The trumpet interacts with electronics, aiming to contrast/duplicate the electronic timbre. Improvisations slowly develop in time into dense noise or fragmented pieces. You can find RPE Duo on Bandcamp. 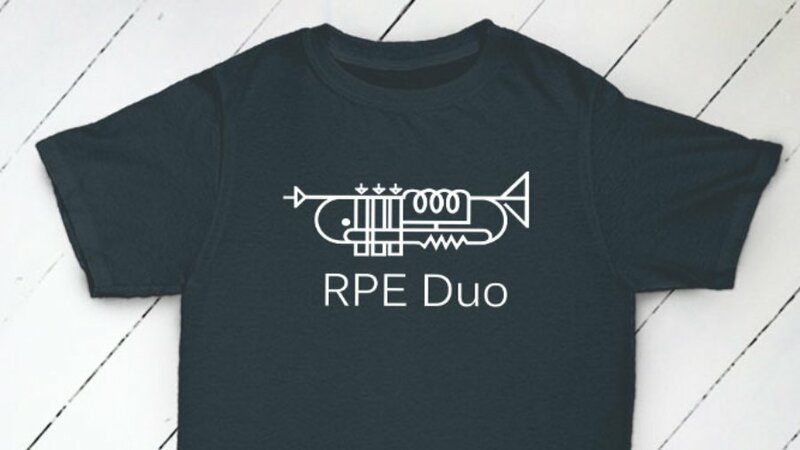 The RPE Duo logo is an exploration of this interaction of acoustic and electronic instruments and we think it looks great!